Foreign investors have shown considerable interest in developing wind power in Vietnam. The People’s Committee of the Mekong Delta province of Tra Vinh has allowed three investors to finance the construction of the Hiep Thanh wind power plant, with a total investment of 3.37 trillion VND (US$144.3 million). Of the figure, 20 percent was contributed by investors, including Hanoi-based Ecotech Vietnam company, Janakuasa Singapore Pte, Ltd, and Lam Minh – a resident in Hanoi’s Ba Dinh district. The remainder was borrowed from German bank Landesbank Baden-Wurttembrg (LBBW). Investors set up the Ecotech Tra Vinh Renewable Energy JSC to carry out the project, the duration of which is 49 years. 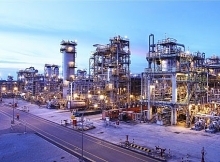 General Director of the company Lam Minh said the project has been included in the provincial power development plan for 2016-2025 with a view to 2035, approved by the Ministry of Industry and Trade on May 19, 2016. It is expected to be put into operation in the first quarter of 2020. President and CEO of Janakuasa Vietnam Ti Chee Liang said the Malaysian energy firm is building its first project, Duyen Hai 2 thermal power plant in Duyen Hai commune of Tra Vinh province, with a capacity of 1,200 MW and an investment of around US$2.2 billion. The project is part of the national electricity development scheme for the 2011-2020 period with a vision to 2030, he said, adding that Vietnam has become one of the countries with the most development potential in ASEAN. He hopes that the Vietnamese Government will study and recalculate the price of wind power – which is worth 7.8 cents per kWh – at a more reasonable level to ensure fairness between renewable energy resources. 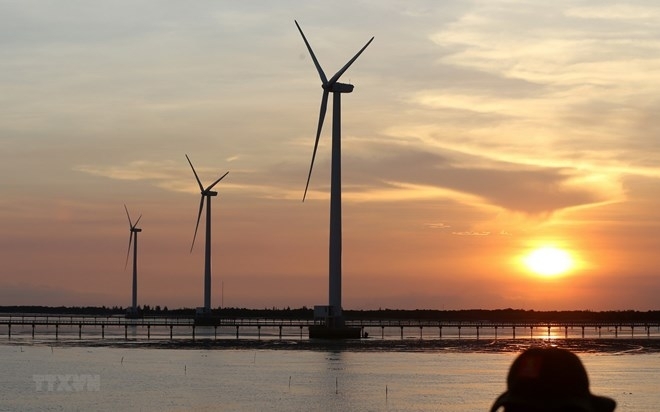 During the construction of the wind power plant in Tra Vinh, investors are responsible for complying with local requirements, in particular ensuring environmental protection and minimising the effects to the local aquaculture, he said. Thailand’s Ratchaburi Energy Co. Ltd is also keen to develop renewable energy, particularly wind power in Vietnam. Its director Peerawat Pum Thong said the company hopes to invest in the field and help Ecotech implement the project. According to the provincial wind power development plan through 2020 with a view to 2030 approved by the Ministry of Industry and Trade on December 4, 2015, Tra Vinh plans to build six wind power projects in coastal areas in Duyen Hai district and Duyen Hai town, including three in Truong Long Hoa commune, two in Hiep Thanh commune, and one in Dong Hai commune. Under the national energy development strategy, Vietnam will strive to increase the usage of new and renewable energy sources to 5 percent of the total commercial primary power by 2020, and 11 percent by 2050. The country also aims to increase the total capacity of wind power to 1,000 MW by 2020 and 6,200 MW by 2030.